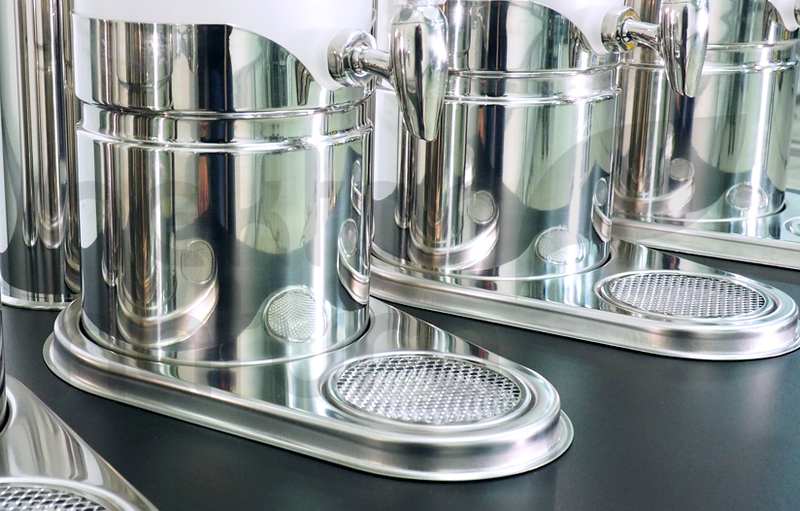 Elegant solution with self-filling dispensers for the finest breakfast areas. 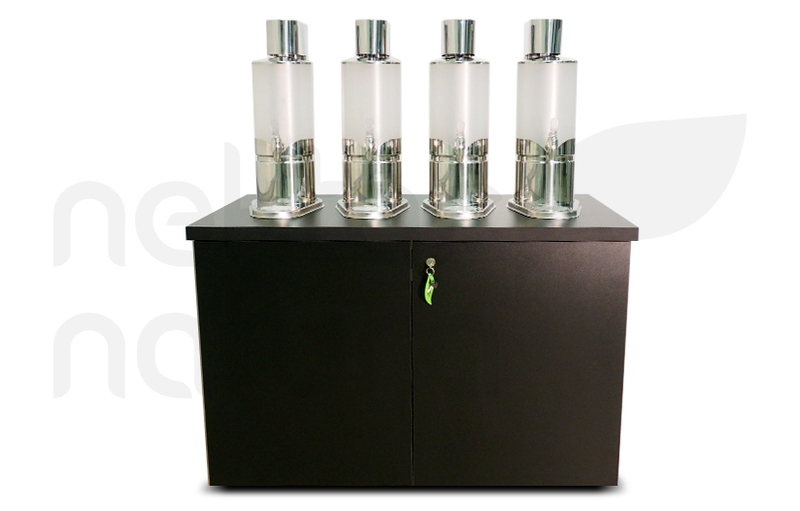 Glass dispensers can be very neatly incorporated into your interior by being set up on your existing counter with equipment and bag-in-boxes stored inside the cabinet. 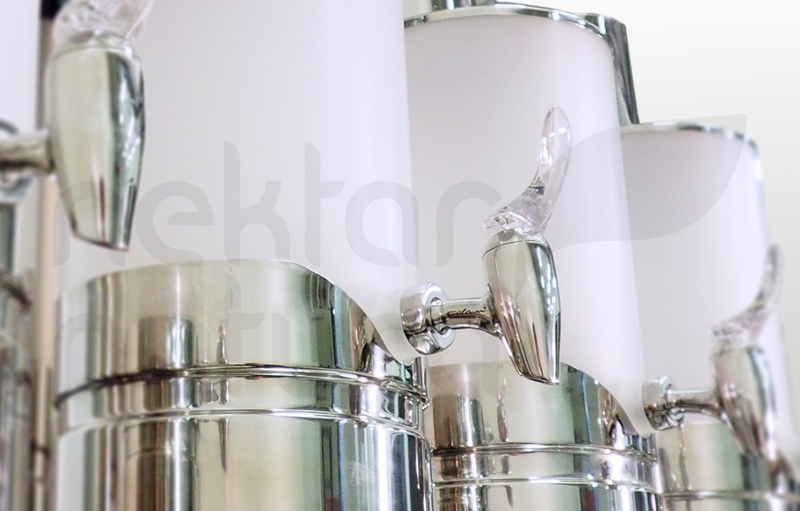 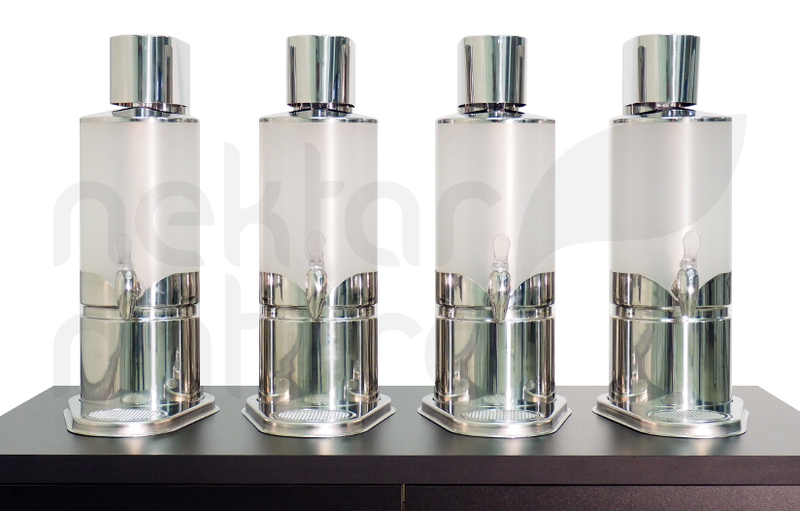 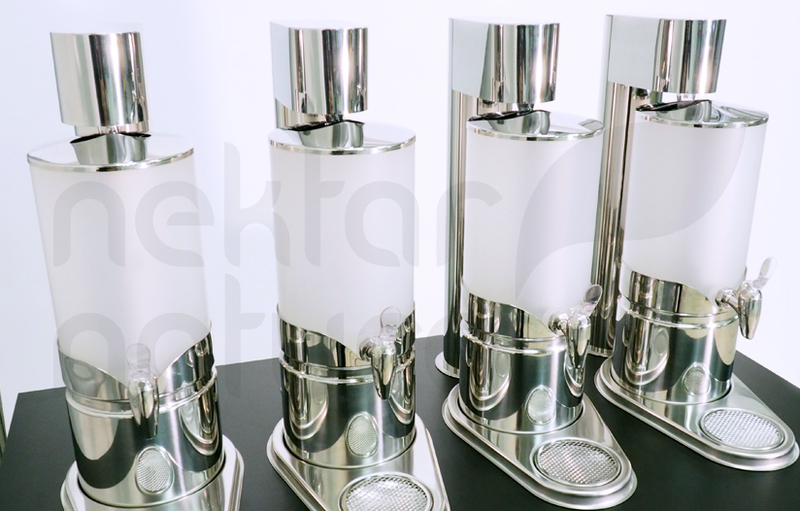 4 classy dispensers are easily self-filled with pre-set amount of 3 refreshing fruit drinks and chilled filtered water. 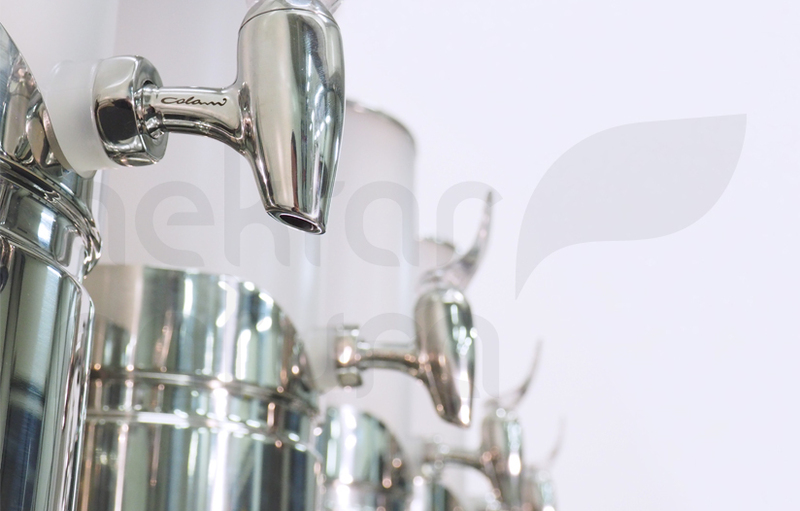 All you have to do is press a button and another litre or two of fresh drink will be mixed and ready for self-service.